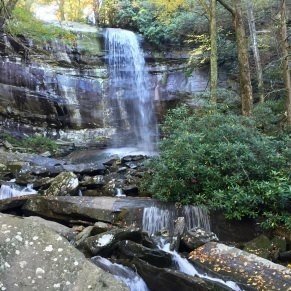 The Chasteen Creek Cascade trail is an easy, 3.6 mile roundtrip hike that features wildflowers, streams, and a beautiful cascade. 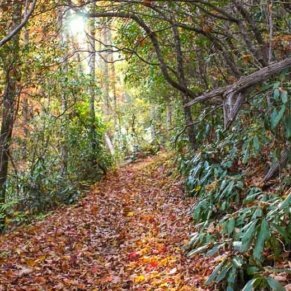 This hike is the perfect escape from the crowded areas of the Smoky Mountains and is suitable for beginner level hikers. 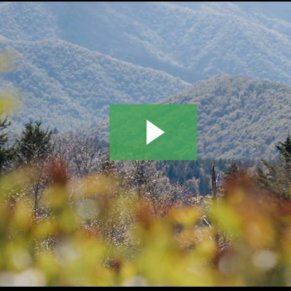 The Great Smoky Mountains feature plentiful whitewater, which is the result of lots of precipitation combined with the rugged terrain. 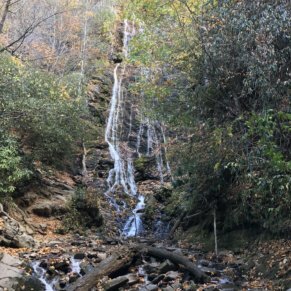 In addition to the more famous waterfalls, there are also many roaring cascades, where steep-angled streambeds form a wildwater chute something between a waterfall and a rapid. 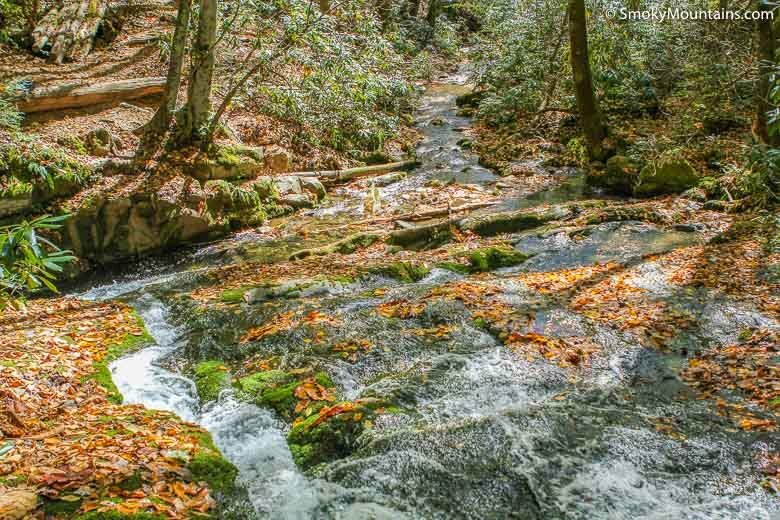 A great example of this is Chasteen Creek Cascades, which is situated in the south-central section of Great Smoky Mountains National Park near the south entrance. 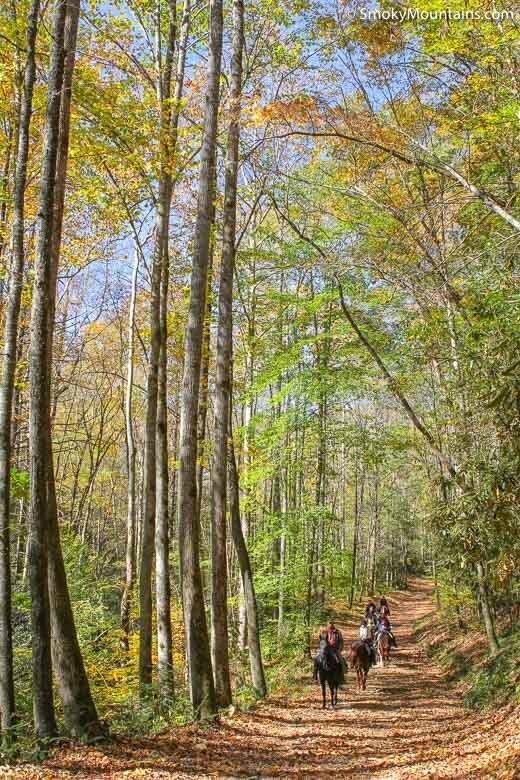 This easy hike offers visitors a pleasant creekside trail and can make the perfect introductory overnighter to the Smoky Mountain backcountry. 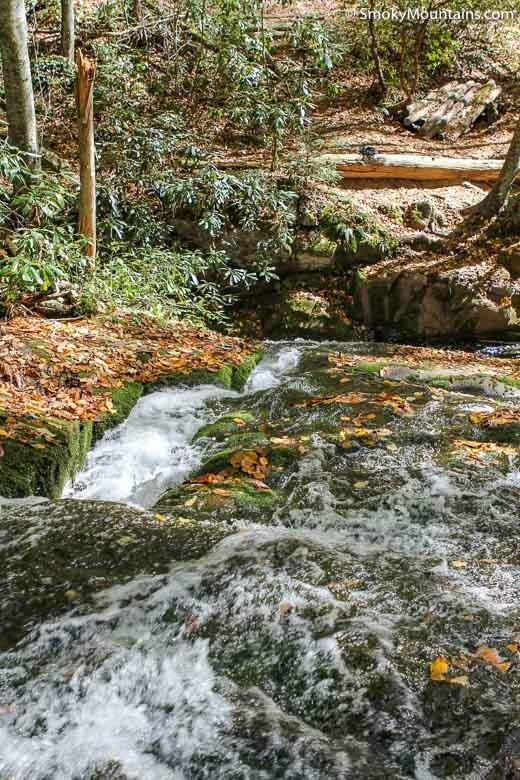 The roughly 3.6-mile hike to Chasteen Creek Cascades, which involves a modest 340 feet of elevation gain, never draws you far from the murmur of flowing water—a defining sound of the Great Smokies. 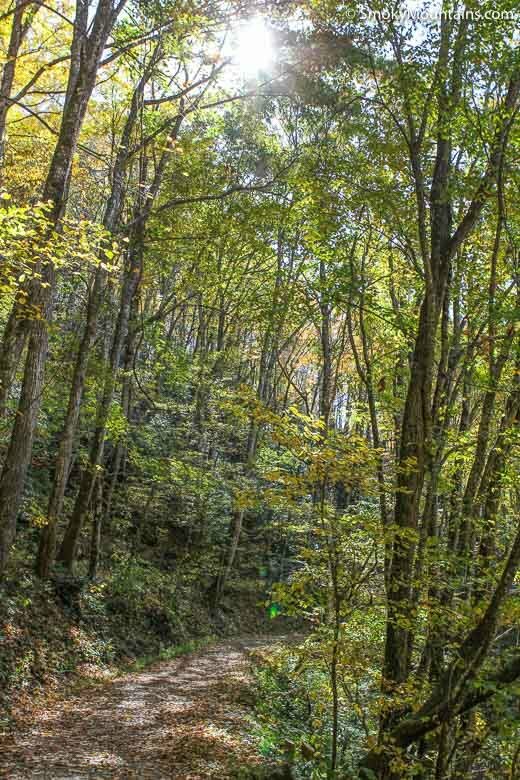 You’ll first hike along the broad tread of the Bradley Fork Trail, which is actually an old logging road. 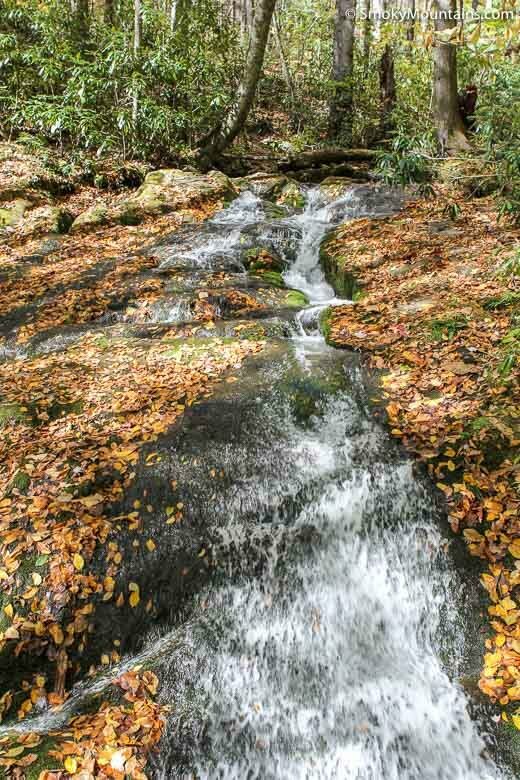 The Bradley Fork, which flows into the Oconaluftee River just south of Smokemont Campground, is beautiful year-round. 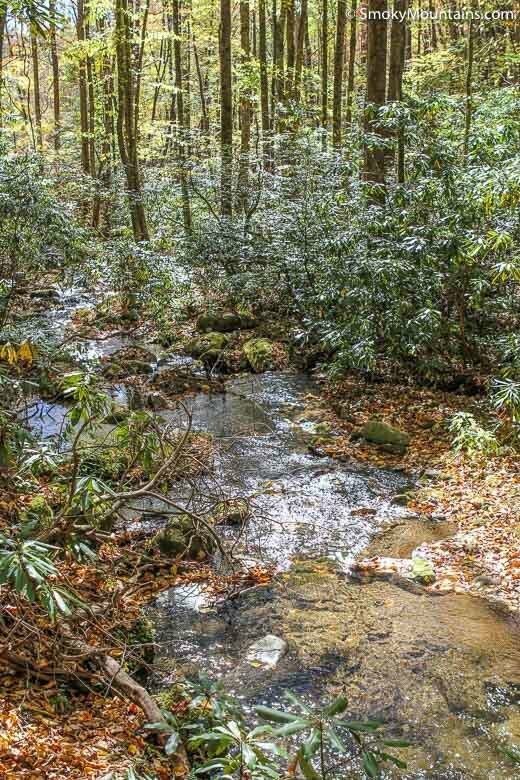 The mossy cobble and the glossy evergreen thickets of rhododendron combined with mountain laurel bristling along its banks is the textbook definition of peaceful. 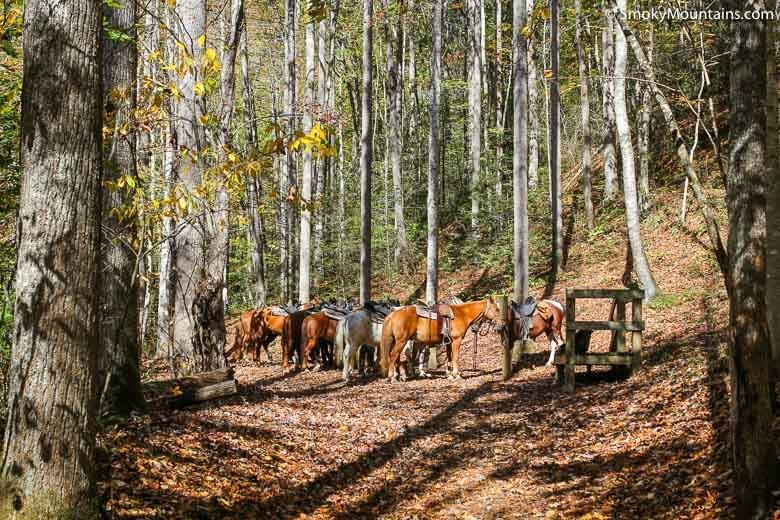 A quarter-mile or so from the trailhead, the Tow String Horse Trail merges with the Bradley Fork, which means you may run into some equestrian traffic going forward. 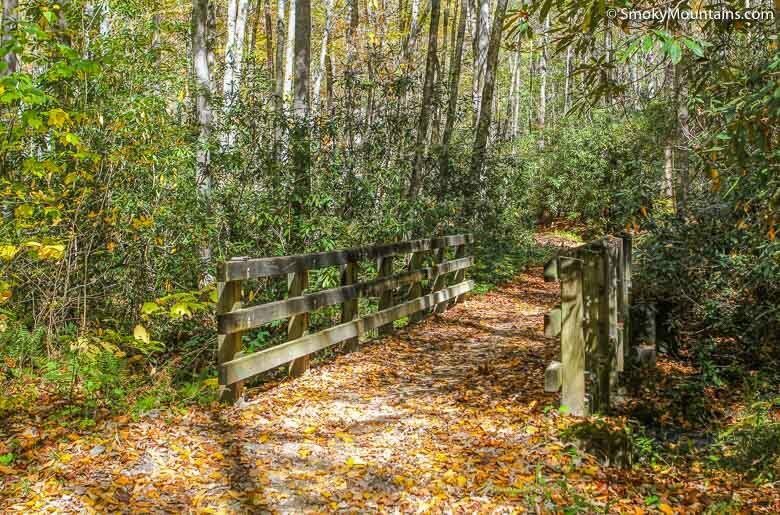 At 1.1 miles, you’ll cross a bridge over Chasteen Creek; a short distance beyond that, hang right on the Chasteen Creek Trail. 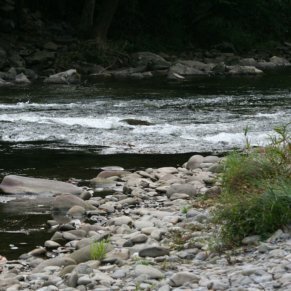 (The Bradley Fork Trail continues to the left along its namesake stream.) 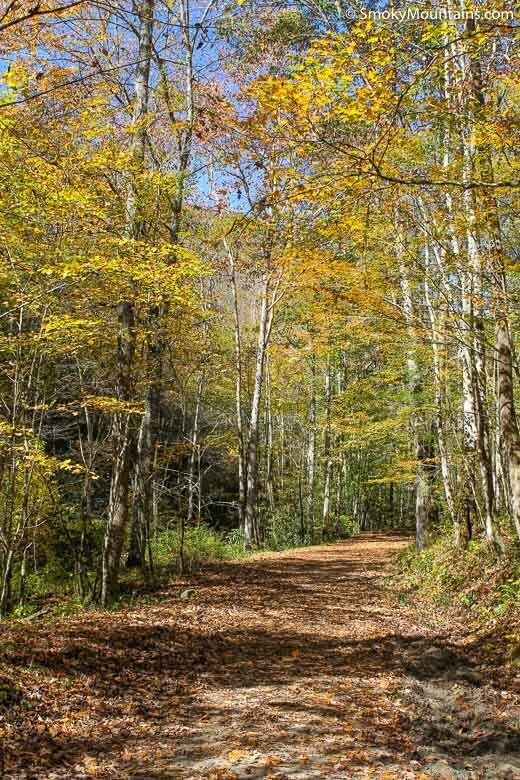 Not far past this fork, you’ll run into Backcountry Campsite No. 50 (Lower Chasteen). 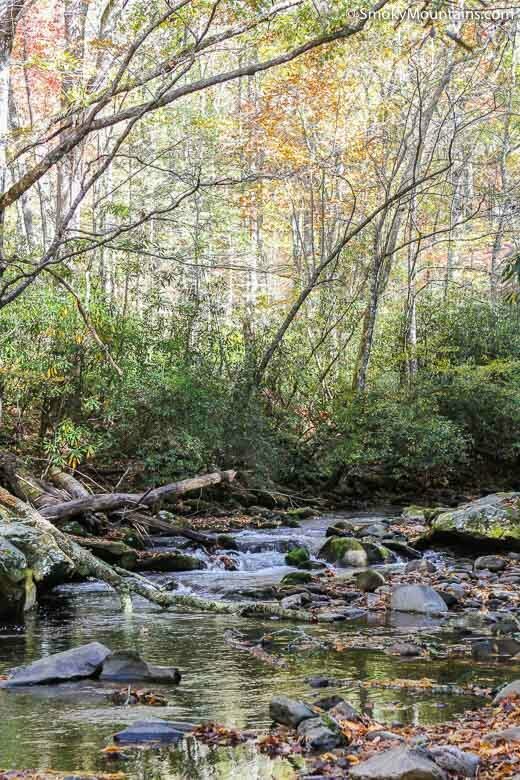 This is a very attractive, streamside campsite that is among the most accessible in the Smoky Mountains National Park. Some 1.8 miles in, after another bridge traverse of Chasteen Creek, you’ll hit another fork in the path. The main Chasteen Creek Trail continues on to the right, but you want to take the left trail, marked by a horse-hitching post. 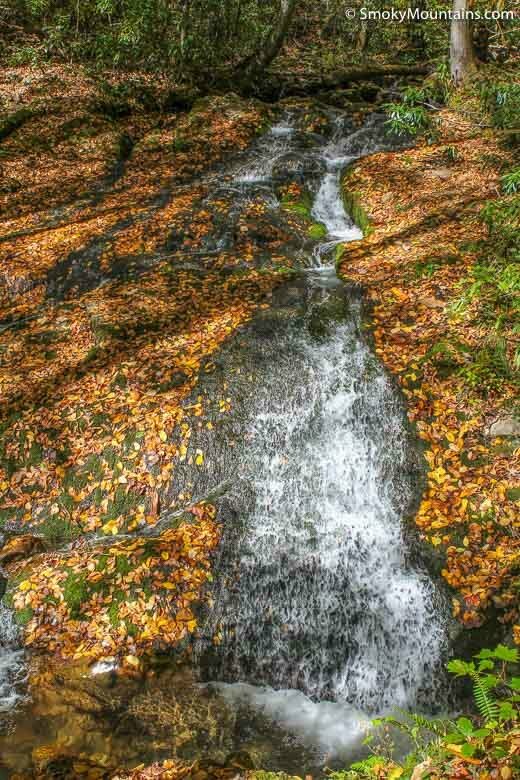 Awaiting you only a few hundred feet up this spur is Chasteen Creek Cascades, a gorgeous roil of whitewater tumbling down some 30 feet through heavy rhododendron on a dark and mossy bedrock slide. This is your lovely and tranquil turnaround point, certainly worth lingering at. 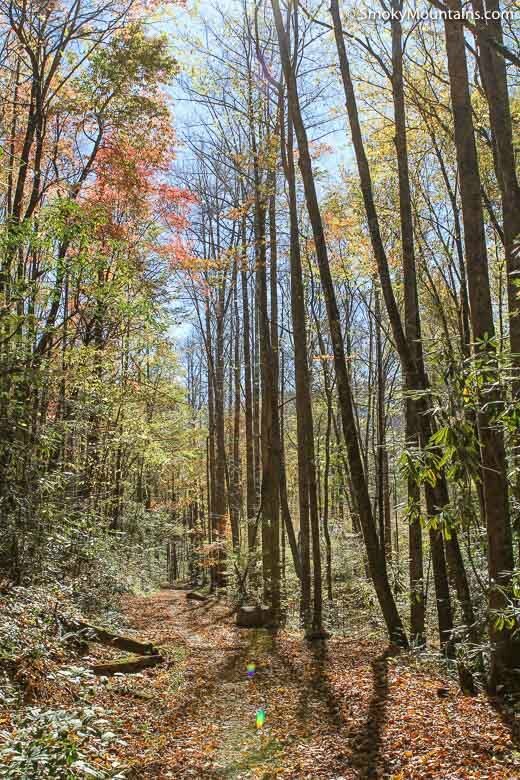 If your legs are still feeling springy, you might consider making a longer go of it by returning to the fork and following the Chasteen Creek Trail for another 3.7 miles to its terminus at the junction of the Hughes Ridge and Enloe Creek trails. This route is a steeper affair, switchbacking as it does up Hughes Ridge. 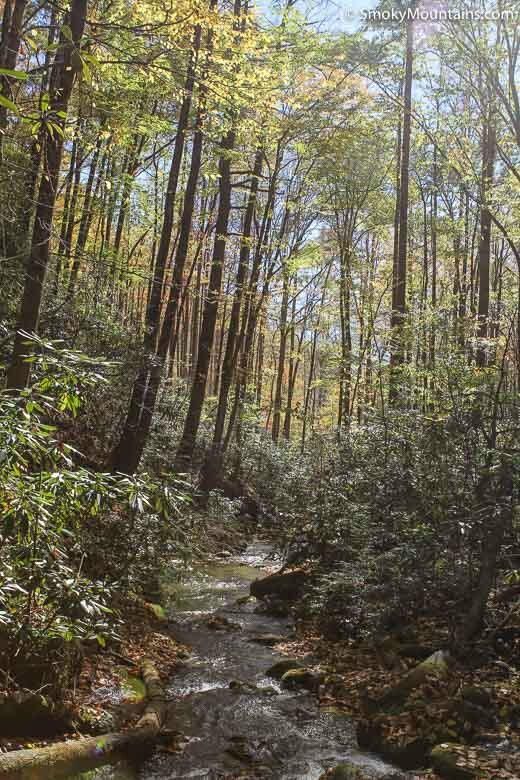 The trail to Chasteen Creek Cascades begins in the Smokemont Campground, reachable via the Newfound Gap Road (US-441) just about 3.5 miles north of the Oconaluftee Visitor Center. 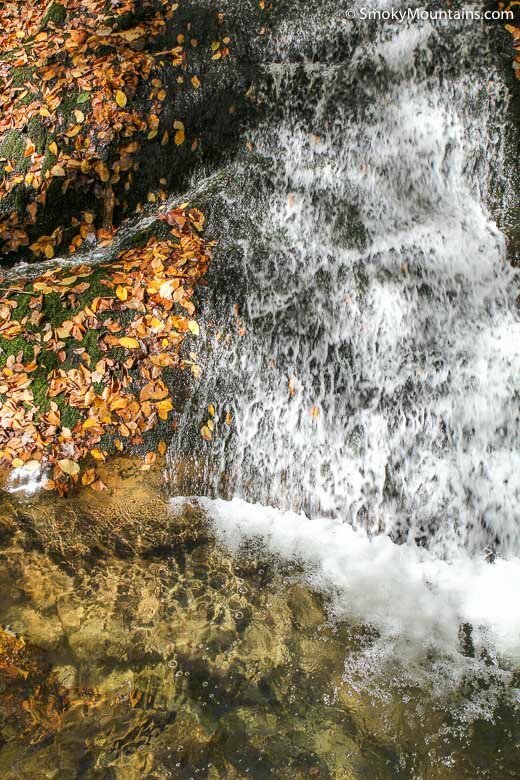 Head to the far north end of the campground in Section D, where the Bradley Fork Trail—the first leg of the route to Chasteen Creek Cascades—commences near campsite 45. 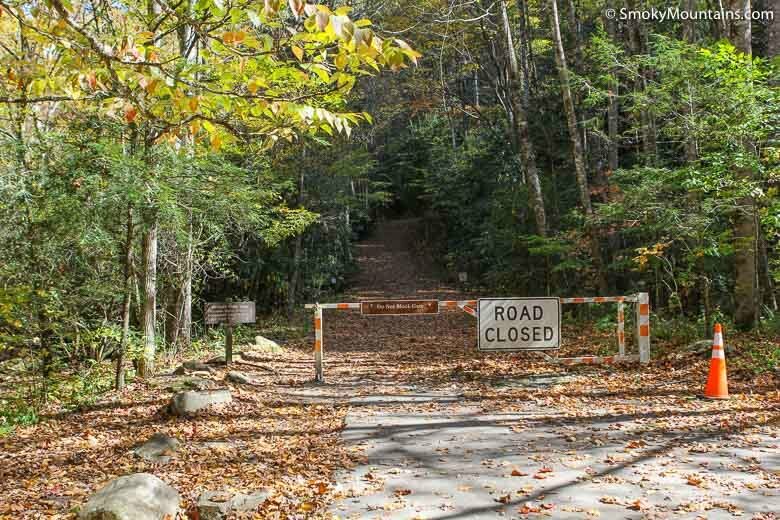 Sections C and D are closed during the winter months, so that time of year you’ll have a short (about 0.4-mile) extra walk to the trailhead. 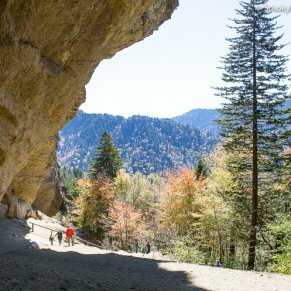 -Be cognizant of (and yield the trail to) the horseback riders who may be sharing the path with you beyond the Bradley Fork/Tow Bridge trail junction. 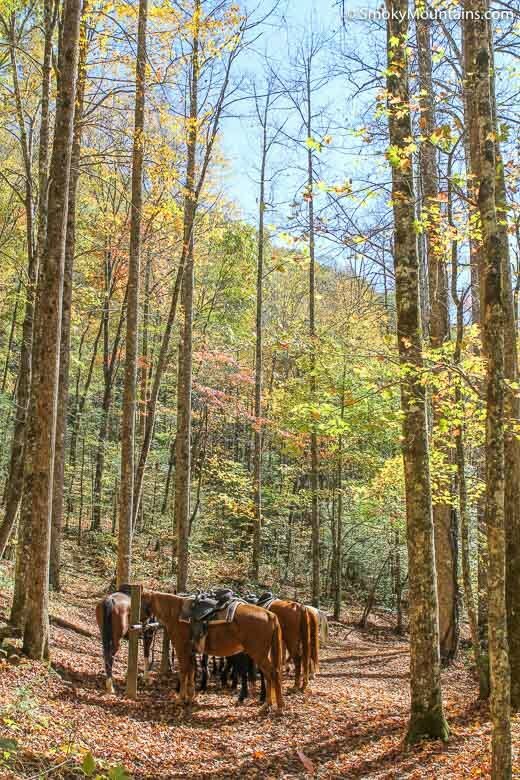 Also, due to the horse use, this route can be a muddy one. 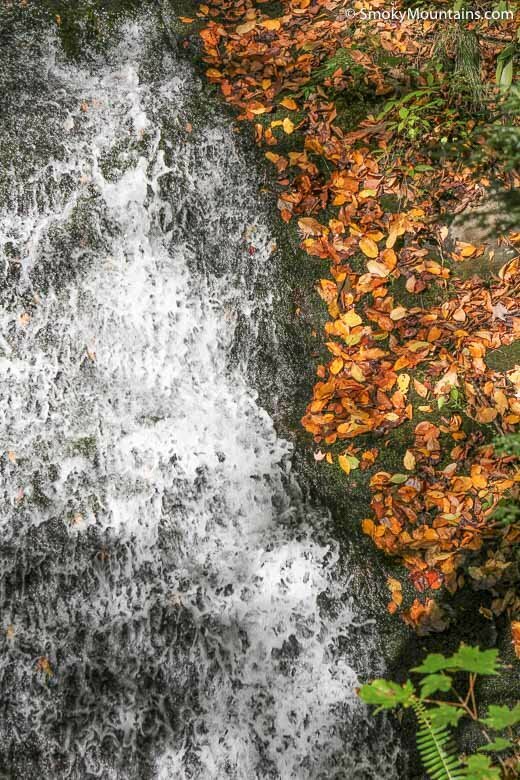 -Chasteen Creek Cascades will be at its most impressive following heavy rains, so keep an eye on the forecast and consider making a jog out if there’s been a wet stretch. 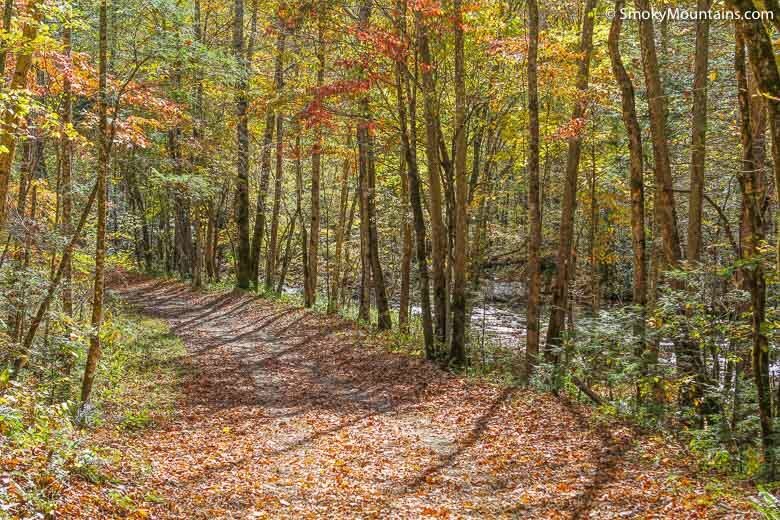 -Because it’s only a little more than a mile from the trailhead at Smokemont Campground, the Lower Chasteen Campsite (No. 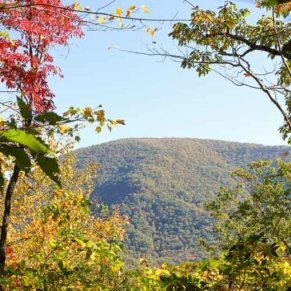 50) makes an excellent destination for beginner backpackers or those with little ones in tow. 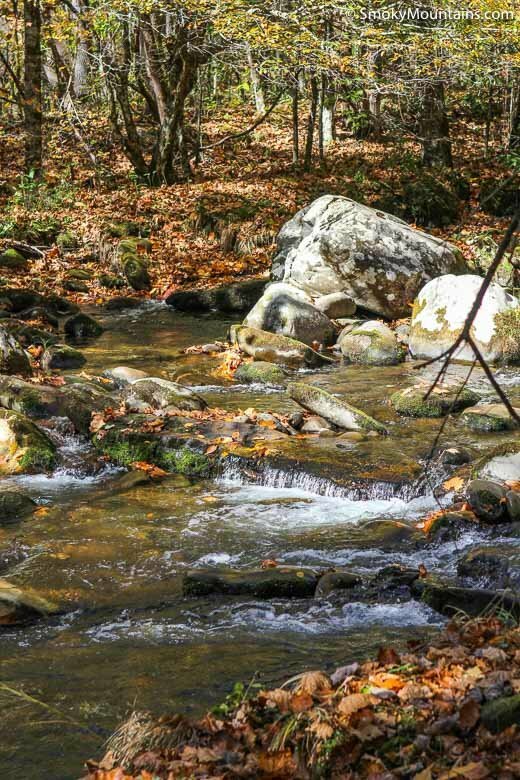 For a low-pressure taste of the magic of spending a night out in the Great Smoky Mountain backwoods, it’s one of the best choices.